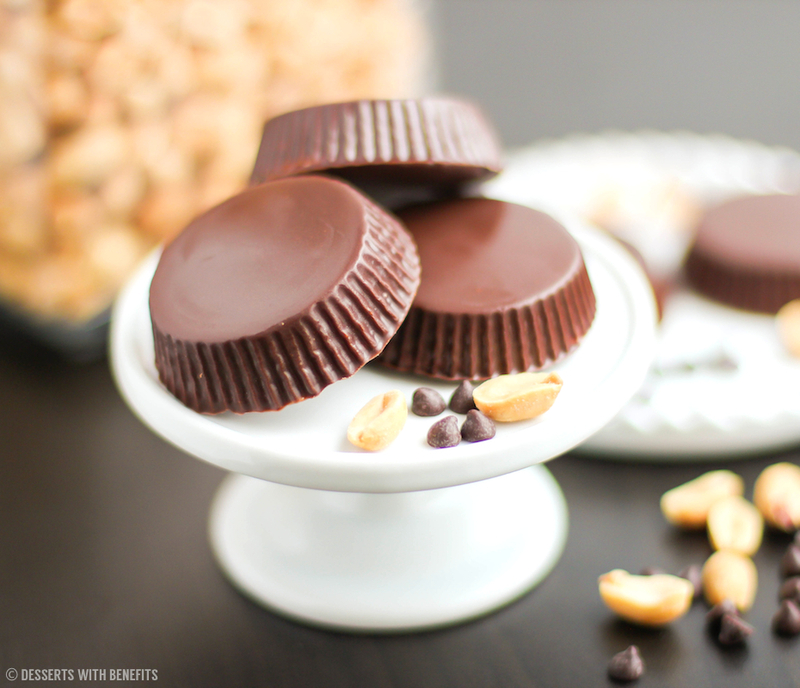 Do you love Reese’s Peanut Butter Cups? We’ve got a real treat for all of you Chocolate and Peanut Butter Lovers out there. A delicious DIY Peanut Butter Candy that gives Reese’s® Peanut Butter Cups a real run for the money. This delightful and easy treat is a contribution of the talented fellow Canadian girl Jessica, the face behind Desserts with Benefits. Jessica says that she absolutely adores baking, all things chocolate, and making healthy desserts that you can feel good about eating! She is a senior-year university student majoring in Nutritional Sciences and Dietetics. Check out her blog over at Desserts with Benefits — a healthy dessert recipe blog. 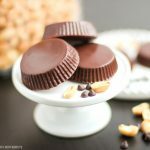 Healthy Homemade Peanut Butter Cups! Totally nutritious, sugar-free, low-carb, gluten-free and guilt-free. Spoon about 1 teaspoon of the melted chocolate into 7 cavities of a peanut butter cup mold or silicone muffin liners. Rotate the tray or muffin liners to coat the cavity "walls" of the tray/liners with chocolate. Put this is in the refrigerator while you make the filling. In a medium-sized bowl, whisk together the peanut flour, erythritol and salt. Stir in the yogurt. Mixture should be thick and fudgy like cookie dough. Fill the chocolate cups with the peanut butter filling. Spoon the rest of the melted chocolate over the PB filling and tap on the tray/liners until the chocolate reaches the edges. This recipe is: no bake, sugar free, low carb, low fat, high fiber, high protein, gluten free! Plus, my DIY recipe contains no added sugar or preservatives (unlike the storebought kind, which uses PGPR and TBHQ).